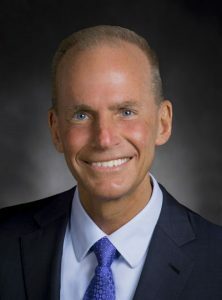 Dennis A. Muilenburg, chairman, president and CEO of The Boeing Company, and an Iowa State aerospace engineering alumnus, has been elected to the National Academy of Engineering (Boeing photo). 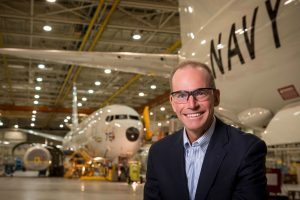 Dennis A. Muilenburg, an aerospace engineering graduate of Iowa State University, has been elected to the National Academy of Engineering (NAE). He is one of three Iowa State University College of Engineering alumni who are part of the current class elected to the Academy. Muilenburg is the chairman of the board, president and chief executive officer of The Boeing Company, where he oversees the strategic direction of the Chicago-based aerospace firm. He graduated with a B.S. in aerospace engineering from Iowa State in 1986. He also holds a master’s degree in aeronautics and astronautics from the University of Washington. 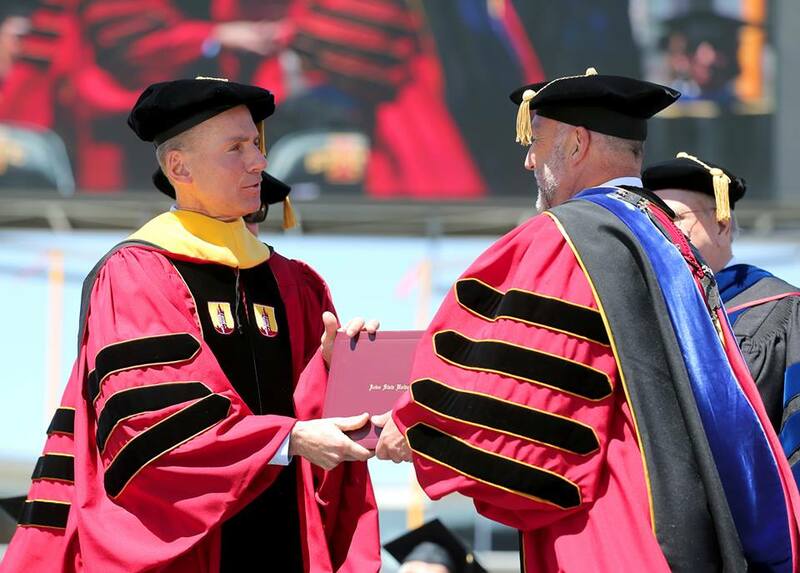 Always proud to support his Iowa State roots, Muilenburg was the commencement speaker at the May, 2017 Iowa State University undergraduate ceremonies, and celebrated a graduation recognition of his own that day, receiving an honorary doctor of science degree from Iowa State. He has also given presentations to ISU aerospace engineering students about leadership, and during visits, has talked with them about such things as senior design projects. Boeing sponsors a multi-university capstone design project that engages students from Iowa State and North Carolina Agricultural and Technical State University. At a special ISU aerospace engineering event, Muilenburg makes a point to students. Muilenburg, and his wife, Rebecca, sponsor an endowed professorship in Iowa State’s Department of Aerospace Engineering. It is currently held by professor and interim chair Dr. Christina Bloebaum. “I am already honored to be connected with Dennis and Rebecca Muilenburg through their endowed professorship and it is wonderful to know that he has been selected for the National Academy of Engineers. It is a very well-deserved honor for him and also for our entire department,” said Bloebaum. Muilenburg, who joined Boeing in 1985, one year prior to receiving his bachelor of science degree from ISU, spent the first 15 years of his career in the Puget Sound region of Washington, where he held a number of program management and engineering positions in support of both the commercial airplanes and defense businesses. 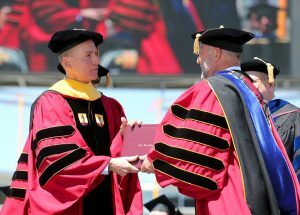 Muilenburg was not only the commencement speaker at Iowa State’s May 2017 ceremonies, but was also presented with an honorary doctor of science degree from the university. He’s shown with then-Iowa State University president Steven Leath. Before that, he served as president and chief executive officer of Boeing Defense, Space & Security (BDS). Earlier, Muilenburg was president of BDS’s Global Services & Support business, vice president and general manager of the Boeing Combat Systems division, and program manager for Future Combat Systems. Prior to that, he served as vice president of Programs & Engineering for Boeing Air Traffic Management and director of Weapon Systems for the proposed Boeing Joint Strike Fighter aircraft. He also held program management and engineering positions on F-22, Airborne Laser, High Speed Civil Transport and the Condor reconnaissance aircraft, among others. He is a member of the board of directors of Caterpillar Inc., the U.S.-China Business Council, the Congressional Medal of Honor Foundation, Northwestern Memorial Hospital and FIRST (For Inspiration and Recognition of Science & Technology). He is past chairman of the Aerospace Industries Association (AIA) board of governors and a current AIA executive committee member. He also is an executive committee member of Business Roundtable, an association of chief executive officers of leading U.S. companies. He serves on the boards of trustees for the National World War II Museum and Washington University in St. Louis, MO. 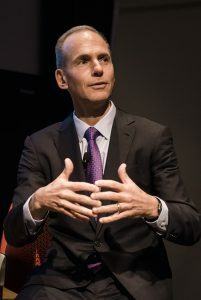 Muilenburg is a fellow of the American Institute of Aeronautics and Astronautics (AIAA) and the Royal Aeronautical Society. 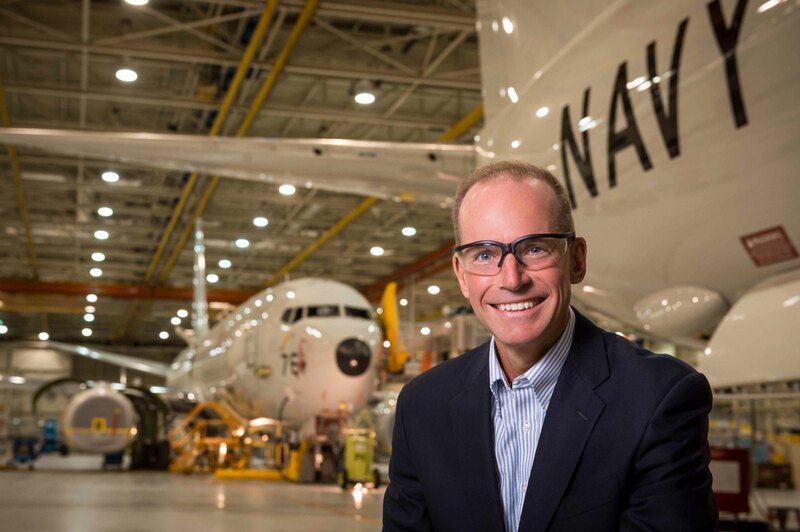 In a photo that can also be found in the offices of the Department of Aerospace Engineering at ISU, Muilenburg is pictured at a Boeing facility. He has been with the company since prior to his graduation from Iowa State. Photo by Devin Boldt. With his induction to the NAE, Muilenburg is lauded for his leadership in defense, space, security and commercial aircraft.